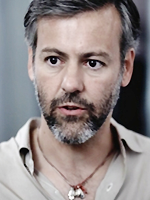 Late 50s/60s • Male • Archaeologist • Scholar • PB: Rupert Graves • Submitted by Vicky. Irish American Jack O'Connell was never a family man. When his son Rick O'Connell was fairly young, Jack ran away from his family and never returned. He was uninformed that his wife—who he met in Chicago, Illinois and conceived their son—had died from an illness while searching for her husband shortly after his departure, leaving his son to grow up in Cairo orphanage. When he arrived in Egypt, Jack became an archaeologist for hire, selling his findings to the highest paying museums, but he prefers to be called a historical entrepreneur. One day in the Sahara, Jack also encountered the Medjai and sold goods to them. 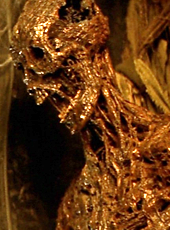 It must be emphasized that Jack (in the game's canon) is not a Medjai, and has merely encountered them. Applicants are permitted to have him in the game's current setting and bump into his family again for the first time. Knowledge of the series is not required to apply for Jack as we expect him to be treated as an adoptable/original character.